Perenna Kei, a 24-year-old woman from Hong Kong, topped the 2014 World’s Youngest Billionaires list recently unveiled by Forbes, unseating the 29-year-old Facebook co-founder Dustin Moskovitz. The youngest billionaire, also known by the name Ji Peili, reportedly has an estimated net worth of $1.3 billion and owns 85 percent of Logan Property Holdings through various companies and a family trust. Kei’s wealth was inherited, not self-made. 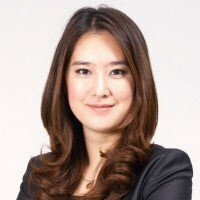 Her father, Ji Haipeng, is the chairman and CEO of Logan Property Holdings, at which Kei is currently a non-executive director. The young superrich woman graduated with a bachelor’s degree in economics and finance from the University of London, but little else is known about her. She is one of 42 new women billionaires to break into the Forbes annual world ranking of billionaires this year.